[_] Why does Birmingham employ more architects than other metro areas, but fewer graphic designers? When someone says "design," most people think of classic cities such as New York or San Francisco. However, Birmingham can increasingly stand up as a design city of its own. An article from CityLab used data from data analyst EMSI to find out where the roughly 625,000 people employed in the design industry are clustered in the United States. They looked at the country's 51 largest metro areas, including Birmingham, and averaged the number of designers in these cities. 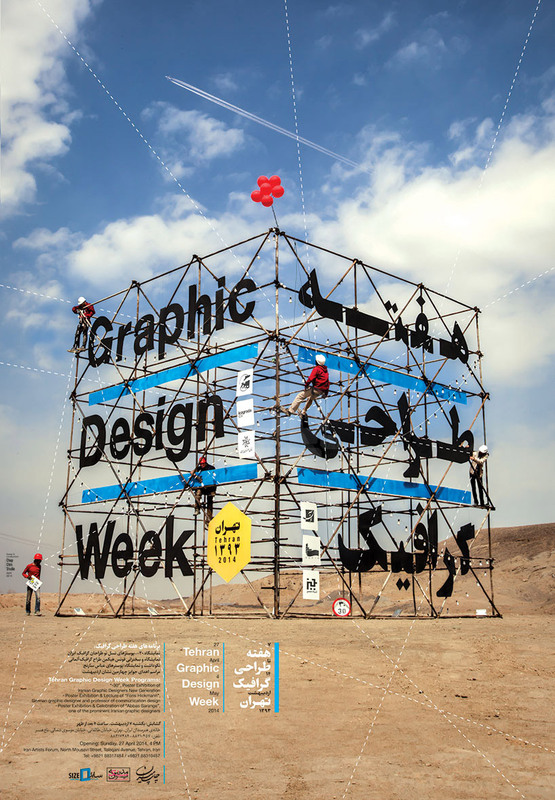 as opposed to photoshopping an entire poster from scratch, chapchinstudio has created the visual identity for the occasion of the 2014 tehran graphic design week by building a full scale structure. in response to the brief, which was ordered by the iranian graphic design society and sponsored by icograda, the process has led them to a 9-cubic meter installation consisting out of four diagrids around a square footprint. on two of its exterior surfaces, visitors are presented with a typographic element: one side features the event’s name in helvetica, and the other side mirrors the text using persian script. adding colors to each side are lights that hang across their faces as they change hues.
. . . now get started! A natural hair-care brand breaks away from the muted tones and Kraft paper typically used for natural product packaging, opting for bright colors and patterns to attract an ingredient-savvy demographic. Abandoning the natural Kraft paper and muted color tones typically used to package natural products, Nancy Twine, CEO and founder of Briogeo, says she opted for bright colors and striking patterns for her new line of natural hair-care products to appeal to a new demographic of female consumers as well as differentiate her line on shelf. PackagingOfTheWorld.com, a prominent packaging design website showcasing the most interesting and creative packaging work worldwide, recently featured two campaigns from Jean Peterson Design--the Catoctin Breeze Vineyard Composer wine labels series and the Catoctin Breeze Vineyard Reserve Butterfly wine labels series. All the years I was conducting my design seminars around the world I always stressed getting visual inspiration. One place I always enjoy, and encouraged for my attendees is the grocery store. The bigger, the better. The along comes the web, and shopping for ideas has never been easier. Packaging World Magazine brings it all to you -- but with a little bit of help from Google, you can scroll and scroll and scroll for ever, into the night . . .